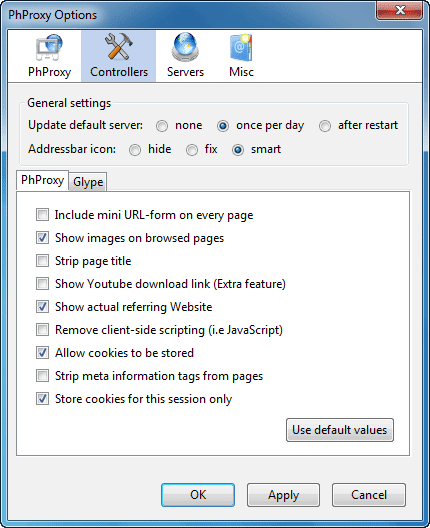 How to install and use PHProxy on Firefox? 1. Install PHProxy extension from Mozilla add-on site just like other add-ons (click on ‘Add to Firefox’ button to install), and then restart your Firefox browser. 2. Now you’re ready to use anonymous proxy server. Open a website that you want to visit. Hover your mouse at the address bar and click on the PHProxy icon (P) or use the shortcut key Ctrl + Shift + Q to open the site by proxy. 3. 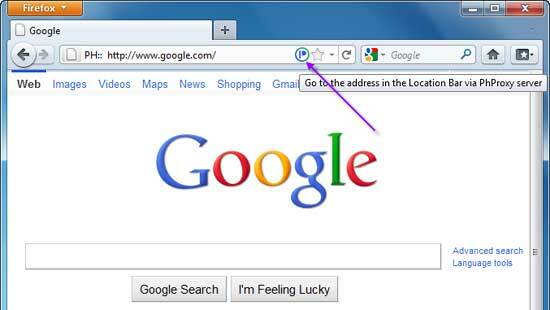 You can also open a link or search result by proxy. For that, just right click on the link and select ‘Open by Phproxy’. 4. You can change the proxy server, update the proxy and adjust the privacy level by right clicking the PHProxy on the location bar. (Privacy level means, how you access a web site – via PHProxy, Cache or both). Oh for crying out loud. Has anyone gotten this thing to work? All I want to do is watch SNL and some other tv videos, but this thing is useless. It still knows I'm in Canada, where the original video is not available. It’s working fine here. I think Phproxy servers are located at Germany or surrounding places. I don’t know SNL can access there!